We are running a new mentoring scheme for 10 to 24 year olds in Hackney and City. 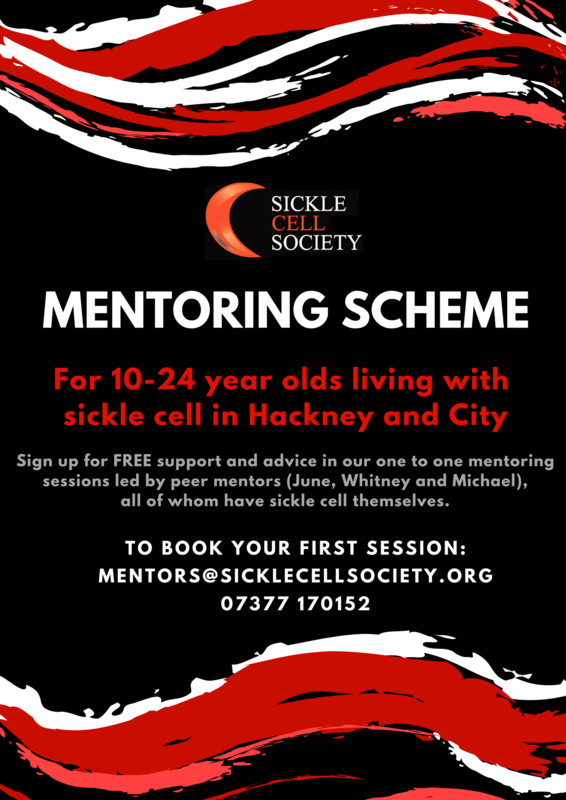 Sign up for FREE support and advice with one of our lovely mentors (June, Whitney and Michael), all of whom have sickle cell themselves. 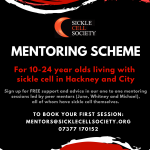 To register for a session or to find out more please e-mail mentors@sicklecellsociety.org.